Pour le Monde’s eau de parfums are 100% natural fragrances made from essential oils and natural isolates derived from botanical ingredients that are harvested from the earth such. These safe, non-toxic, vegan perfumes are made of flowers, fruits, leaves. These oils are derived from natural raw materials by either steam or water distillation, a technique that has been around for centuries. 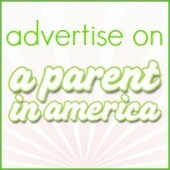 There are no parabens, sulfates, formaldehyde or chemicals. I was sent a sample pack of the three different Pour le Monde scents: Together, Envision, and Empower. All three were subtle and exquisite. I found that the three natural fragrances, though concentrated, gently fade after a few hours. I liked that they did not stick to my clothing or leave a cloud where ever I went. fragrance. My favorite was Empower, because I am attracted to citrus and green-grassy fragrances. Empower is a crisp, citrus perfume with top notes of grapefruit, lemon, and mandarin interspersed with an herbal mix of spearmint, lemongrass and basil. I liked wearing this sample for every day. 10% of your purchase will benefit Guiding Eyes for the Blind, a charity that provides guide dogs for the blind, visually impaired and children with autism. If you like lavender, you will love Envision. This lavender-based fragrance is blended with Italian bergamot, pink peppercorn; orange, lime, mixed woods and vanilla. I liked wearing this one for cozy fall date nights.10% of the net sale of Envision benefits the National Multiple Sclerosis Society. At $95 per 1.7 ounce bottle, the perfumes are not cheap. Naturals, because they are limited, need to be harvested responsibly and have to be imported from around the world, creating greater expense. It is much more cost effective to replicate nature in a lab. If your giftee is eco-conscious or has chemical sensitivities, this product is perfect. I got to try out the Pour le Monde sample pack, which is a nice small gift, allowing the giftee to try all three of the fragrances. 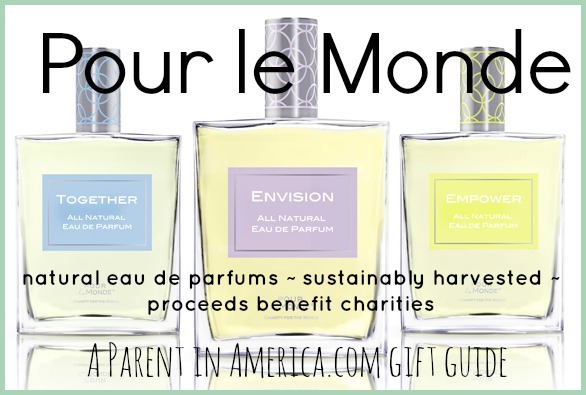 You can also give Pour le Monde e-gift cards, allowing your loved one to choose the scent and charity she would like to support. Disclosure: I received a sample pack of the three fragrances for review. No additional compensation received.